Only IOC Councillors have taken up Jordan’s challenge, with Cllrs Liz Harvey (Deputy Leader), Cllr Jim Kenyon and Cllr David Summers pledging to give it their best shot! It’s Our County as a party opposed the enormous cuts in public transport subsidies that were just voted through by the Conservatives on Herefordshire Council. IOC supports re-investment in public transport as a manifesto and policy priority. 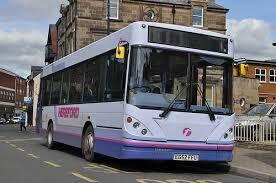 Buses are a lifeline to so many people, of all ages, who are; studying, working and retired in Herefordshire. We are in the 21st century, let’s start acting like it with proper transport planning! The Mayor’s Chain Marches LEP – Secretive Quango?